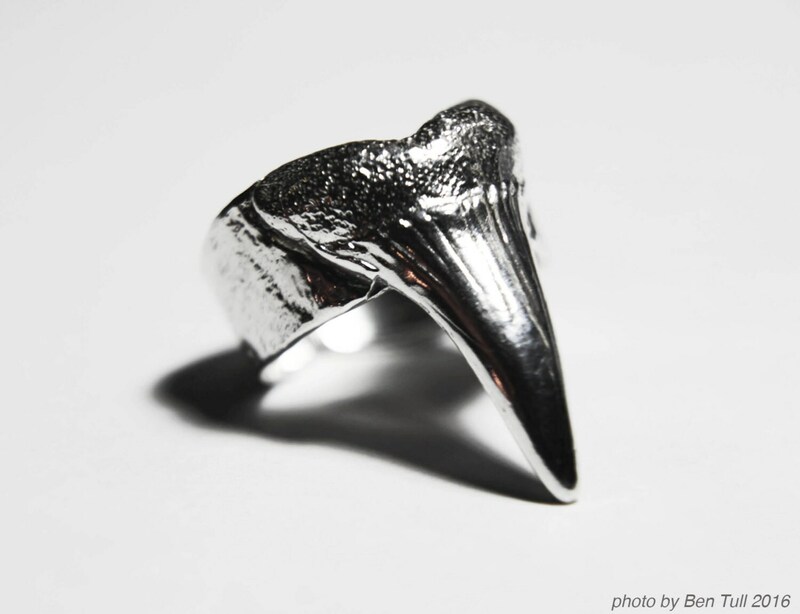 A wicked sterling silver tooth talon ring. Fashioned from a cast of a prehistoric shark's tooth and blackened (or not) strategically for drama. 3 different finishes to choose from. Show some shark love! Adjusts between sizes 6 and 9.5. 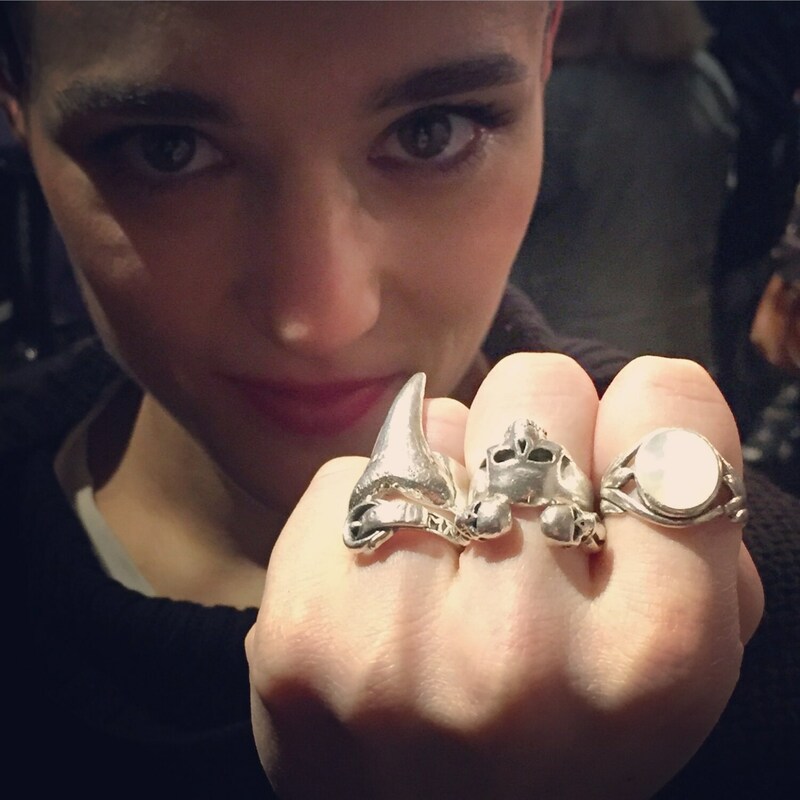 Jehnny Beth from Savages has one of these rings which she wears all the time. 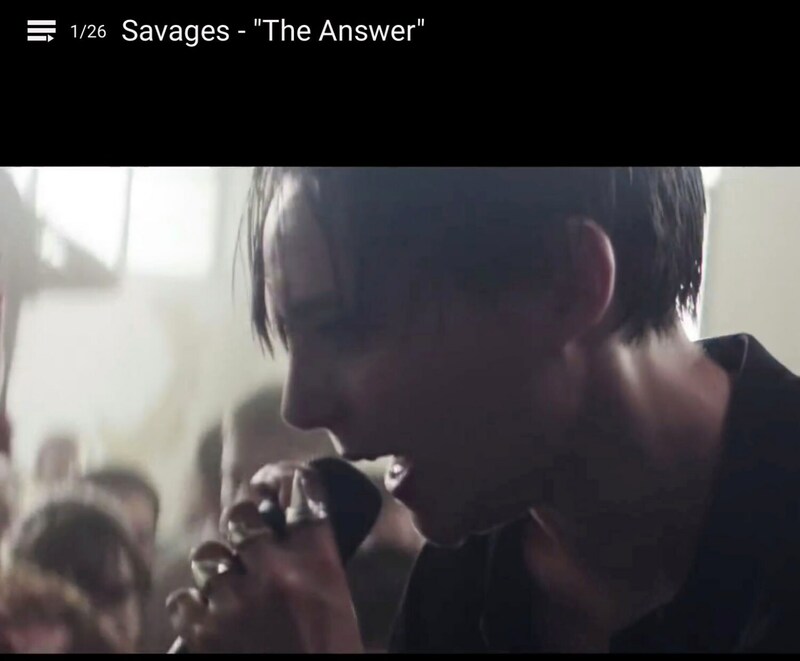 You can see it adorning her beautiful fist on the cover of the Savages record Adore Life, in the fantastic videos and in multiple recent press photos. They are a great band! Super talented, intelligent, gorgeous people! What an honor! If you need a customized smaller or larger size please contact me. 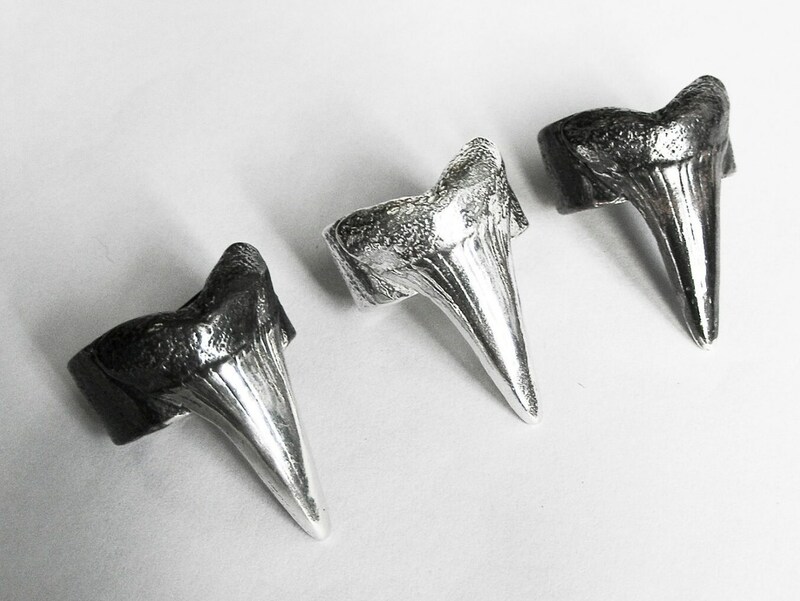 LISTED PRICE IS FOR 1 SHARK TOOTH RING ONLY. 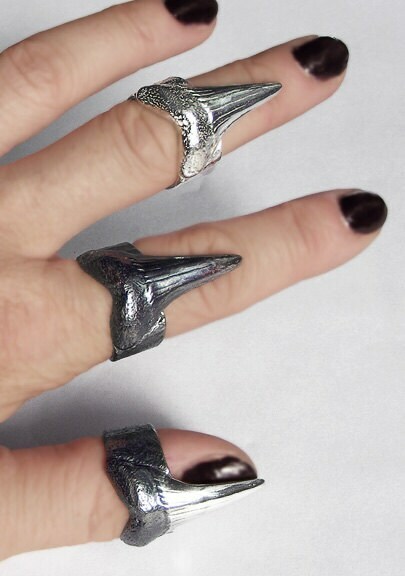 Another amazing shark tooth ring!!!! Fabulous ring, delivered in time.